WordPress CMS is a free open-source content management system that is based on PHP and MySQL. Its features include the plugin architecture and template system. Before getting in detail about what is WordPress cms, it is important to be well-known with the concept of the content management system and open-source. Content Management System: A content management system process or CMS is a software that promotes creating, editing, organising and publishing content. WordPress is a content management system that allows you to create a website and also allow you to publish your content on the website. Mostly, this software is mainly used for web publishing, but can also be used to manage the content on an intranet, or even in a single system. WordPress cms allow its user to have full control over the files, document, designs and display of the content. The main advantage of WordPress is that you don’t need to have a coding knowledge to create and publish a website. The beauty of a good content management system allows a user to create and manage their content regardless of their technical knowledge. In the earlier days, the small companies need to rely on the static HTML sites as the cost of a content management system is not affordable by them. But, today this problem has been resolved as now the WordPress been an open-source is available and free to be used by anyone. WordPress is the software that can be used in all sort of creative ways. Now a days, the WordPress has become too popular that it is used almost everywhere from a small business website, blogs, large universities websites, internal communication system for companies, application infrastructure base, web directors, arcades site, real estate property listing sites, etc. Open-Source: Open source can be defined as the term that is used to describe the computer programs with their source codes that are available for everyone to study. WordPress is an open source software that can be used by anyone to study, change and redistribute with respect to its source code. The platform of open source allows the user to not only study the code but also improve it by testing, bug reporting, and submitting the patches. The supporter of this development concept argues that the open development environment allows the software developers to quickly find and fix security loopholes and bugs in the software. Whereas, the opponents of the open source development argue that open source software is actually more accessible as the source is easily available for anyone to study and hack. Even they also argue that the open source software comes with absolutely no warranty and if something goes wrong will be upon their own risk. Well, these points are the downsides by the extensibility and customisability of the open source software. This can be easily seen in the projects such as WordPress which has today allowed it to become the dynamic web publishing platform. Why is WordPress cms a Free Software? Well, we are aware of this free WordPress concept but have we ever thought that why was it free or if it is free, in what sense. Actually, WordPress is a free and open source software and it allows the user with the freedom to use, modify, build upon and redistribute the software in any way as per their wish without charging anything. However, the cost might be applicable in other areas. Now, the next question arises in your mind could be if so then why WordPress is not selling their software, as it can make huge money out of that. This statement would make sense, if it is a single company or owned by an individual, can go on making up the profit. But, to your awareness let me tell you that WordPress is an open-source community project where tens of thousands of talented people have invested their knowledge to make it into a great software that it is today. WordPress has a core team of developer that take care of the project development and management, but still, anyone can contribute towards fixing bugs, make features, patches, suggest extra features etc. Furthermore, the project leaders can change from one version to another. If you get deeply involved in the community, then you can become a core contributor to WordPress as well. The outlook behind Open source software movement is that software is not like other appreciable products. Once the software is created, it can be copied any number of times with little cost. Can You Make money with WordPress cms? Yes, the two main profitable parts of any open source software are the products and the services based on the same open source software. Mostly, people get confused with WordPress and WordPress.com, they think both were the same. But they are actually two different things. 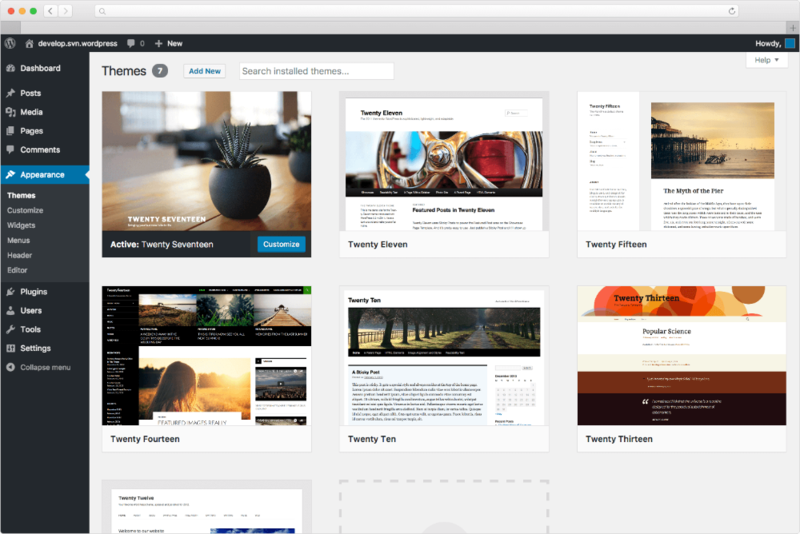 WordPress is a free blogging platform and website builder (free template available where you can post the blogs and do performing changes but is restricted) often referred to self-hosted WordPress.org or WordPress. Whereas, WordPress.com is the company which has a co-founder, named as Matt Mullenweg and here have to pay/upgrade the WordPress membership to unlock features and remove ads. 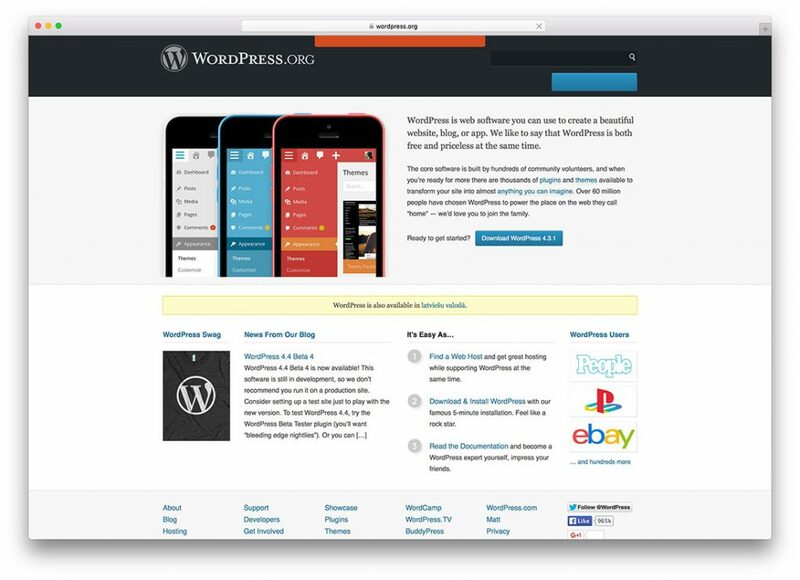 Here, WordPress.com provides a ‘restricted’ free blog hosting service. However, to obtain the full power of WordPress on WordPress.com platform, you have to sing up with their WordPress VIP service. This costs over £3767 per month for hosting +£3767 set u fee. With WordPress, the other developers have also made a successful million pounds in the businesses by creating commercial plugins, commercial themes and even by offering the WordPress hosting. What’s about the WordPress Copyright, Is it Free? No, the copyright of WordPress is not free. It is the licensed one that allows everyone to use it, but each contribution made to the software is copyrighted. However, it is used under GPL, so you are free to use, modify and redistribute the code. Even you have the copyrights to perform the modification in your software, but not the entire code. GPL requires that any derivative work that is been released or distributed should be licensed under GPL. Whatever may be the case, your derivative work automatically inherits the GPL license, so others are free to use, modify and redistribute your code in anyways. Blogging platform generally lacks to make a standard ground for them, but this is not the case with WordPress. Since, its birth from 2003, it came across so many faces and reached a preferable preeminent open source development platform. As per Yoast, among all the other new websites, it is the most widely used content management system. There was a time when it takes a lot of money to create a website. But today, WordPress designing and development has made it extremely cost-effective. Even it is relatively cheap when it’s about maintenance as you can do it yourself instead of hiring a designer every time to update the content of your site. WordPress provides access to perform any changes with respect to your site anywhere as long as you have access to the internet. There was a time when there use to be no mobile traffic, even after working on search engine it was very difficult to get the traffic. But, this is not the case with WordPress, when you use a WordPress website design, you are automatically benefitted with the responsive or receptive web technology without the need to develop separate websites for a different device. WordPress is SEO friendly and can be viewed everywhere in the same ways.